The immediate garage door repair services of our technicians are guaranteed but we also promise you quality work and methodical techniques. We install, replace and adjust all garage door parts with efficiency and work with the best tools in California. 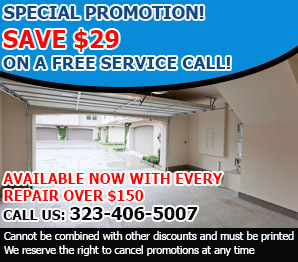 We not only offer the most reasonable rates for our services, but also provide top of the line garage door spring repair.